When running any sort of business it's important to save on costs wherever possible. 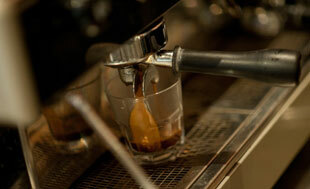 One area where cafe owners sometimes look to cut costs is with their business insurance. This is no surprise, as insurance can be a considerable expense for a cafe if you go with the 'grande' package. But what if you just want the cheapest insurance to get by? What's the minimal cover you can get away with? We should start by saying that taking out the minimal insurance will leave you and your business exposed in a number of areas. But as the saying goes, some insurance is better than no insurance, so if you absolutely must cut costs here is the cheapest minimal cover for a cafe. Assuming that you are operating your cafe from leased premises, you will most likely need public liability insurance. It would be very unusual for a lease agreement not to include the requirement for public liability insurance. The amount of cover required will vary, but generally if you are operating out of a shopping complex you will require either $10 or $20 million cover. What is public liability? Basically it covers you if someone suffers a personal injury or property damage whilst on your premises or as a result of your business activities. Depending on the size of your cafe, the cost of this form of insurance could definitely be considered cheap, especially when you take into account the protection that it offers. You can read more about this cover on our public liability for cafes guide. Another form of insurance required under most lease agreements will be glass cover. Glass insurance will cover breakage of any fixed glass within your premises, such as windows, doors, mirrors or shelving. The good news is that adding the glass option to your insurance is generally quite cheap. Whilst public liability and glass insurance may be enough to meet the minimum requirements of opening your cafe, they are still going to leave you open to major potential losses. It's at least worth getting a quote on the other forms of cafe insurance to see whether or not your budget can stretch a little further. When looking for the cheapest cafe insurance it's definitely worth shopping around. Each insurance company has its own way of pricing insurance for a cafe, and there can be considerable differences in price from one company to the next. You can shop around by contacting each insurance company yourself, but a more efficient method is to use an insurance broker who can do the running around for you. Is using an insurance broker more expensive? If cost is an issue, and presumably it is if you're reading this guide, then you may be thinking that using an insurance broker is going to be more expensive that doing it yourself. This is not always true, and often a broker will be able to find you cheaper cover than you might be able to find on your own. The reason they can do this is due to their experience and access to a wide range of insurers. They will know the best places to go to find the most affordable insurance for your cafe. To see how the CafeCover team can help you to insure your business please contact us or complete our online quote form.